strawberryluna T-shirts, now available in my Etsy shop. 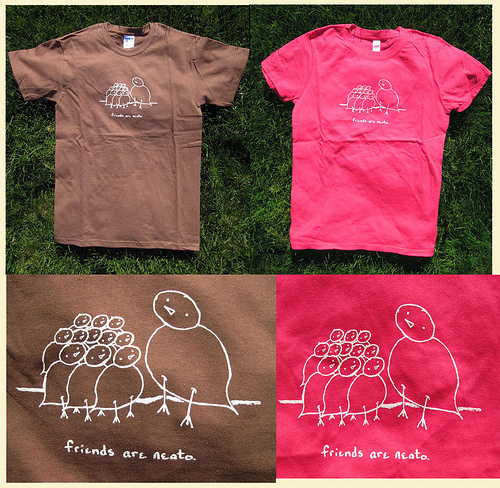 Friends Are Neato, brown & pink womens & mens/unisex tees. 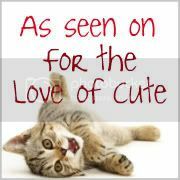 Hey guess what! If you haven’t seen me at a craft show, you very likely haven’t seen my t-shirts for sale. Since most of my tshirt designs are printed in small runs, I usually only take them with me for shows rather than always having them available online. But now, with the craft and poster carny-travel season coming to a close, I put up some t-shirts in my Etsy store. 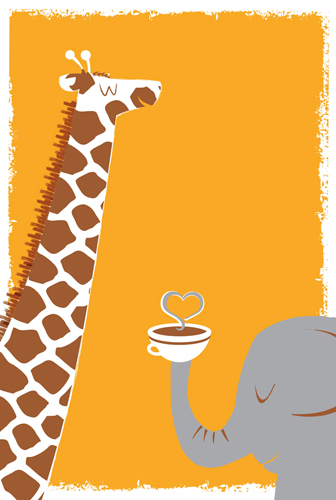 Elephant & Bird Friends Are Neato, womens & mens/unisex tees. Available in sought after Women’s tee styles by Hyp brand, (an amazingly soft and comfy women’s tee that puts the other to shame) as well as traditional Mens/Unisex cut styles too. Take your pick! And, now that it’s chilly time, hoodies are in the works too. Got a suggestion or a design that you would love to see on a hoodie? Drop me line. 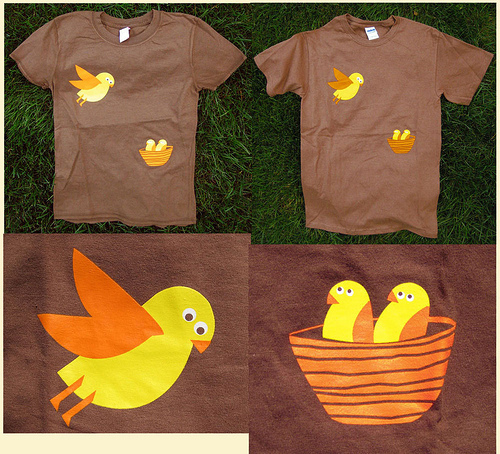 Nesting Brown Birdies, womens & mens/unisex tees. And if you’re like me, you could always improve your tshirt folding skills, check out this super sonic, faster-than-the-speed-of-sound shirt-folding technique. SHAZAM!